You all base your affirmation that the Lord Jesus Christ is the Son of God on what is recorded in the Bible, and then when you see the Lord Jesus praying to God the Father, this further affirms for you that the Lord Jesus and God have a Father-Son relationship. Add to that the testimony of the Holy Spirit and the testimony and delimitations of the apostles, and you are then sure that God is the Trinity. For two thousand years, the world of religion has been certain that the one true God who created the heavens and earth and all things is the Trinity, entirely because God was incarnated to do the work of redemption, as well as because of the misunderstandings that arose from people failing to understand the truth of the incarnation. Although many people feel that the Trinity interpretation doesn’t quite fit, since they don’t know the truth of the incarnation they delimit God in this far-fetched way. If it wasn’t for the coming of Almighty God, revealing the mysteries of the incarnation and dissecting this, the greatest fallacy of the world of religion since the creation of the world, no one would be able to recognize the error in the Trinity interpretation. In actual fact, since the world was created, God has never said that He is a Trinity, neither did the incarnate Lord Jesus, and neither has the Holy Spirit ever testified that God is a Trinity—this is an accepted fact. The Trinity interpretation came about after the coming of the incarnate Lord Jesus, when there arose among people a mistaken understanding of God stemming from their lack of understanding of the truth of the incarnation. Within the Bible, many people see the Holy Spirit testifying to the Lord Jesus being the beloved Son, and they see Him praying to God the Father, so there arise notions and imaginings about God, as though God were three persons—the Father, the Son and the Holy Spirit. Therefore, many people don’t know which God they should pray to, nor do they know which God rules over all things and decides all things. Some people feel that praying to one God isn’t right, so they want to throw the other two into the mix; some feel uneasy praying just to the Lord Jesus, so they have to include Jehovah God as well. This confuses people and throws their hearts into disorder. The disciples at that time actually asked the Lord Jesus what the true situation was concerning God the Father, and the Lord Jesus replied clearly, saying: “Have I been so long time with you, and yet have you not known Me…? he that has seen Me has seen the Father; and how say you then, Show us the Father? Believe you not that I am in the Father, and the Father in Me?” (Jhn 14:9–10), “I and My Father are one” (Jhn 10:30). The Father and the Son are one, one God—this is an absolute truth, with no mistake. “Still some may say: ‘The Father is the Father; the Son is the Son; the Holy Spirit is the Holy Spirit, and in the end, They will be made one.’ Then how should you make Them one? How can the Father and the Holy Spirit be made one? If They were inherently two, then no matter how They are joined together, would They not remain two parts? When you say making Them one, isn’t that simply joining two separate parts to make one whole? But were They not two parts before being made whole? Each Spirit has a distinct substance, and two Spirits cannot be made into a single one. The Spirit is not a material object and is unlike anything else in the material world. As men see it, the Father is one Spirit, the Son another, and the Holy Spirit yet another, then the three Spirits mix like three glasses of water into one whole. Is not that then the three made one? This is purely an erroneous explanation! Is this not splitting up God? How can the Father, the Son, and the Holy Spirit all be made one? Are They not three parts each of different natures?” (“Does the Trinity Exist?” in The Word Appears in the Flesh). “The Spirit within Jesus, the Spirit in heaven, and the Spirit of Jehovah are all one. It can be called the Holy Spirit, the Spirit of God, the sevenfold intensified Spirit, and the all-inclusive Spirit. The Spirit of God can carry out much work. He is able to create the world and destroy it by flooding the earth; He can redeem all mankind, and moreover, conquer and destroy all mankind. This work is all carried out by God Himself and cannot have been done by any other of the persons of God in His stead. His Spirit can be called by the name of Jehovah and Jesus, as well as the Almighty. He is the Lord, and Christ. He can also become the Son of man. He is in the heavens and also on the earth; He is on high above the universes and among the multitude. He is the only Master of the heavens and earth! From the time of creation until now, this work has been carried out by the Spirit of God Himself. Be it the work in the heavens or in the flesh, all is carried out by His own Spirit. All creatures, whether in heaven or on earth, are in the palm of His almighty hand; all of this is the work of God Himself and can be done by no other in His stead. In the heavens, He is the Spirit but also God Himself; among men, He is flesh but remains God Himself. Though He may be called by hundreds of thousands of names, He is still Himself, and all the work[a] is the direct expression of His Spirit. The redemption of all mankind through His crucifixion was the direct work of His Spirit, and so too is the proclamation unto all nations and all lands during the last days. At all times, God can only be called the almighty and one true God, the all-inclusive God Himself. The distinct persons do not exist, much less this idea of the Father, the Son, and the Holy Spirit! There is only one God in heaven and on earth!” (“Does the Trinity Exist?” in The Word Appears in the Flesh). 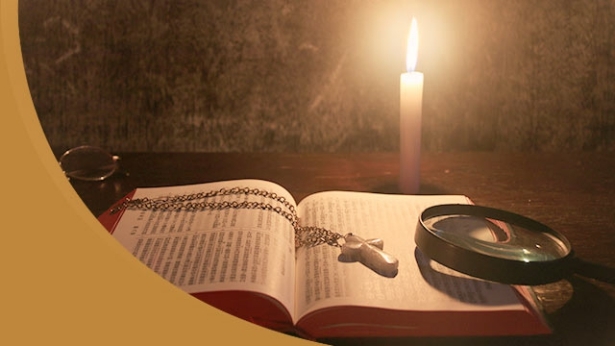 The words of Almighty God dissect this fallacy of the Trinity very incisively and clearly: God is the one true God, God is the Holy Spirit and there is only one Holy Spirit, therefore there is only one God. God is the Holy Spirit and the Holy Spirit is God; it’s just a different way of saying it. God incarnate is the Holy Spirit become flesh and the essence of His flesh is still the Holy Spirit. No matter how we address Him when we pray, God, the Holy Spirit and God incarnate are all one God, one Spirit. This is a fact that no one can deny. Just as Almighty God says, “God is a Spirit, but He is able to become flesh and live among men, as well as to be above all things. His Spirit is all-inclusive and omnipresent. He can simultaneously be in the flesh and throughout the universe. Since all people say that God is the only one true God, then there is a single God, divisible at will by none!” (“Does the Trinity Exist?” in The Word Appears in the Flesh). We all well know that there is only one God, which is the Holy Spirit. When the Holy Spirit clothes Himself in the flesh and becomes human, why then do we no longer recognize God? And we split God into three before combining Him back into one, defining God as the Trinity. This really is such an absurdity! It can be seen from this that we humans really don’t understand spiritual matters. In actual fact, no matter what we say about it, the Trinity is a self-contradiction; whenever we hear it, it leaves us with the feeling that it doesn’t quite fit, that it’s a little uncomfortable. We know clearly in our hearts that there is only one God, so can this God really be the Trinity? Is it right to use the Trinity interpretation to define God? Is it a true understanding of God? Through Almighty God’s dissection and discernment, it becomes evident to all of us how preposterous the Trinity interpretation is, and that it is certainly the greatest fallacy of the world of religion. Isn’t saying that one God is three just carving Him into pieces? Isn’t it blasphemy to stubbornly insist that the one God, the one Spirit, has three parts? God has exercised patience with mankind for two thousand years, until the last days when God has once again become flesh to utterly expose and dissect that which pains Him the most—the most absurd fallacy of the entire world of religion—and to have all mankind gain clarity on and understand that there is only one God, which is the Holy Spirit, and that the Holy Spirit is the one true God, who is the Lord of creation. Though God becomes flesh, He is still one God. He absolutely cannot turn into two Gods or two Spirits, and this is all the work of the Holy Spirit. The Lord Jesus was Jehovah God clothed in flesh; the Lord Jesus was the manifestation of Jehovah God. That is because the essence of His flesh is the Holy Spirit, and the Holy Spirit is Jehovah God, so are They not one God? If we, as human beings, are never able to see such a simple fact clearly, doesn’t that mean we have no understanding of spiritual matters? No wonder the Lord Jesus said: “Have I been so long time with you, and yet have you not known Me, Philip?” (Jhn 14:9). Apparently, we corrupt humans really cannot know God easily, and if God Himself did not reveal the mystery of the truth of the incarnation, then no one would be able to understand it. The Lord Jesus personally appeared to man to speak and work and, furthermore, this was recorded in the Bible. For two thousand years, no one has truly known the Lord Jesus and even less has anyone understood the truth of the incarnation. If they had really understood, then they wouldn’t have defined God as the Trinity. In our notions we believe that Jehovah God is the God who created the heavens and earth and all things and who rules over all things, that the Lord Jesus is the Lord of all the saints, Christ, the Savior, and that the Holy Spirit is God at work, thus giving the Trinity a clear division of labor. Each of the three that make up the Trinity has His own domain—One is responsible for heaven, One is responsible for earth, and the Holy Spirit is responsible for working in man. If we divide God’s labors in this way, does this not completely negate God’s almightiness and all His wisdom? God is an all-inclusive God; He is omnipotent. If we acknowledge that God is almighty, omnipresent and omnipotent, why then divide God into three? That we are capable of dividing God into three shows that we do not understand God’s almightiness and His all-encompassing nature. We do not acknowledge God’s almightiness, thinking that He is unable to do these things, and so we divide Him up in this way, as though it is reasonable only for God to work in such a way—this is a division based entirely on the notions and imaginings of man. God is clearly one God, so is insisting on cutting God up into three parts the act of someone who reveres God? Does this kind of person have any piety? Is this act not so very arrogant and self-righteous? Is not cutting God up and delimiting Him in this way actually defying Him and blaspheming against Him? We can see from Almighty God’s dissection and revelation of the Trinity interpretation that corrupt mankind defining God as a Trinity is something that is most hurtful to God. It is equivalent to cutting God up into three, then combining Him back into one. God is the one true God, so how could mankind be permitted to cut God up in this way? Therefore, God says in “Does the Trinity Exist?”: “Let Me tell you that, in truth, the Trinity does not exist anywhere in this universe. God has no Father and no Son, much less is there the concept of an instrument jointly used by the Father and the Son: the Holy Spirit. All of this is the greatest fallacy and simply does not exist in this world!” “There is no time at which this idea of the Trinity of Father, Son, and Holy Spirit can stand; it is a fallacy rarely seen through the ages and does not exist!” (The Word Appears in the Flesh). This is God openly dissecting and exposing the fallacy of the Trinity to the entire universe. If, when we see God’s words, we are still unable to understand them and we still don’t accept the truth, then we are defying God and can only be condemned and eliminated by God. From whose mouth did the term of Trinity come? Was it testified to by the Holy Spirit or was it said by the Lord Jesus Himself? Or was it a summing up from corrupted mankind? Firstly, God did not say this; secondly, the Holy Spirit did not make such a revelation; thirdly, no apostle said it. Therefore, this expression is not the word of God, but rather it comes from the mouths of men and is summed up by corrupt mankind. We all know that there is only one God. When God incarnates, He has divine substance. After He completes His work in the flesh and returns to the spiritual realm, He will have God’s original identity. God’s original identity is the Spirit; God incarnate is the realization of the Spirit in the flesh, while His substance is still the Spirit. Therefore, there is only one God. God is the Spirit. Most of the time He performs His work among men as the Spirit. He is only incarnated when it is necessary to work as God incarnate, but that is only for a brief time. After He completes His work through the two incarnations, He will not become incarnate again; God subsequently will forever be the Spirit. Therefore, no matter what, there is only one God. The Trinity—the Holy Father, the Holy Son, and the Holy Spirit—simply does not exist at all, and this interpretation is untenable. God never said that He is a Trinity; Jehovah God did not say this in the Old Testament, the Lord Jesus as God incarnate did not say this in the New Testament, in His subsequent work the Holy Spirit did not say this. Therefore, this statement is completely untenable. How did the Lord Jesus express it? “Baptizing them in the name of the Father, and of the Son, and of the Holy Spirit” (Mat 28:19). When people are baptizing, they can invoke the name of the Father, the name of the Holy Spirit, and they can also invoke the name of the Son, but this is certainly not linking together the names of the Father, the Son, and the Holy Spirit, this is not what it means. It is incorrect for people of religion to turn this statement into a formula. Because at that time many people were uncertain of the identity of the Lord Jesus, the Lord Jesus permitted them to call upon the name of the Father. But actually, if people were certain that Jesus was the Lord, that He was God incarnate, they could just directly invoke the name of the Lord Jesus, and that would be enough. There was no need for them to call upon the name of the Father, and even less need for them to invoke the name of the Holy Spirit. Therefore, there is a reason that God spoke those words at that time, as many people had not accepted the Lord Jesus, nor did they acknowledge the Lord Jesus. Therefore, He said such words that were more understandable and acceptable to people. But when people of religion regard the words of the Lord Jesus as a formula—calling upon the three names of the Father, the Son, and the Holy Spirit, then whose name are they calling upon after all? They have got it wrong; one name will suffice, and that is to invoke the name of the Lord Jesus. The Lord Jesus is the Father. The Lord Jesus once said, “I and My Father are one” (Jhn 10:30). The Father and the Son originally are one. Whoever calls upon the names of the Father, the Son, and the Holy Spirit does not understand the spirit, he has erroneously understood the words of the Lord Jesus; is such an explanation right or not? It is spot on. Why does corrupted mankind not understand the word of God, but understands the Lord Jesus’ words erroneously and divides God up into these three parts? It is because man does not have the faculties with which to understand the truth. Therefore, when God incarnate spoke to mankind, some difficulties arose. God told them that they could call on the name of the Father and they could also call on the name of the Son, and those who were able to accept the Lord Jesus as God incarnate could call on the name of the Son, and those who were really unable to accept could call on the name of the Holy Spirit. From this, we can see God’s leniency toward man, and we are also able to discern the Lord Jesus’ consideration for man’s weakness and ignorance. Therefore, with regard to this matter, God was not particular and we should understand God’s meaning. Previous：Question 36: In recent years, various denominations within the religious world have grown more and more desolate; people have lost the kind of faith and love that they once had, becoming ever more negative and weak. All of us have also felt the withering of the spirit, that there is nothing left to preach, and that we have all lost the work of the Holy Spirit. We’d like to ask, why is the entire religious world so bleak? Is it really detested by God; has it really been cast aside by God? 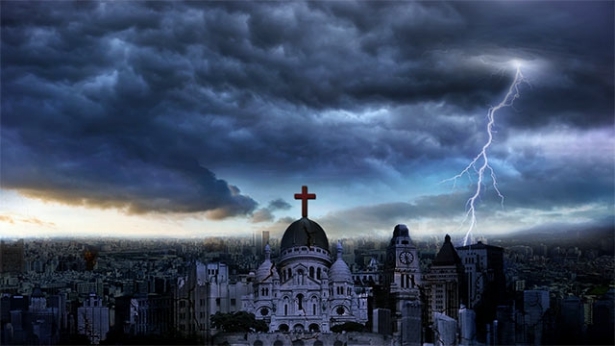 How should we understand God’s words of damnation for the religious world in the Book of Revelation? Next：Question 38: Almighty God, Christ of the last days, expresses the truth and does His work of judgment to purify and save mankind, and yet He suffers the mad opposition and brutal crackdowns of both the religious world and the Chinese Communist government. The CCP government even mobilizes its entire media and armed forces to condemn Christ, blaspheme Him, capture and exterminate Him. When the Lord Jesus was born, King Herod heard that “the King of Israel” had been born and he had all the male children under two years of age in Bethlehem killed; he preferred to wrongly murder ten thousand babies than allow Christ to live. 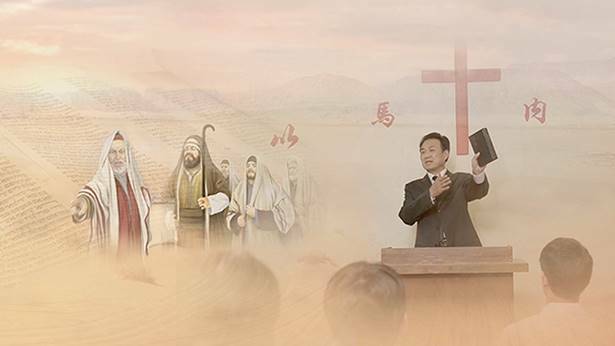 God has become flesh in order to save mankind, so why is it that the religious world and the atheist Chinese government madly condemn and blaspheme the appearance and work of God? Why do they bend the power of the entire country and spare no effort to nail Christ to the cross? Why is mankind so evil? Why do they hate God so and set themselves against Him?